The Road to The Nationals’ regional stages are almost done and the pressure to qualify has been mounting on teams and individuals. This past weekend showcased the Iloilo leg of the DOTA 2 qualifiers while Cagayan De Oro and Davao saw familiar faces and old rivalries were rekindled in their respective Tekken 7 legs. TaskUs Titans bagged the championship for the Iloilo leg of the DOTA 2 qualifiers, and for fans following the series, the members of Titans will be familiar, as they were the Cebu Leg champions but under a different name: Polar Ace. As Polar Ace, the team from Manila flew to Cebu and asserted dominance, but accepting the TaskUs sponsorship presented a few consequences and challenges. The tournament rules clearly state that a team cannot field new members nor change their roster mid-series. This meant that as TaskUs Titans, the team had to re-join a tournament leg in order to qualify for the finals happening at ESGS 2018. And qualify they did, winning the Iloilo leg against hometown favorites Lavel 21. The Iloilo-based team were blown away by the composition the Titans brought: Treat Protector, Weaver, Tiny, Rubick, and Invoker. The TaskUs Titans sealed the series with two back-to-back wins, proving that the team can consistently win and is worth watching when they face off against other representatives in ESGS. The theme of familiar faces wanting their redemption arc spilled over to the Davao leg of the Road to The Nationals Tekken 7 qualifier. Xavier Giovanni “Gio” Galon, originally from Bohol, tried to qualify for the Cebu leg but fell short when he came up against Francis Steven Valencia “UFTC|Gogoy” Cabahug. With a new leg within reach, Gio decided to fly out and try his luck once again. On the way to the finals however, Gio faced a Manileno: Jade “ArkAngel|Jaynine” Yasay. Jaynine had a similar assignment and had to go through Gio to take a step closer to the finals. It was a combination of Shaheen and Kazumi that allowed Jaynine to slip past Gio and faced John Groover “G|Clef” Sy, who not only was waiting with a twice to beat advantage but also the one who put Jaynine in the loser’s bracket. Jaynine’s Shaheen saw G|Clef’s Xiaoyu and Lili to not only reset the match, but also proved to be the right choice to ultimately win the right to represent Davao in the Road to The Nationals grand finals. From a missed second chance, the story at the Cagayan De Oro Tekken leg of R2N was an entirely different story. Raymund Jay “LimitBreak” Sarte and Neil Kenneth Uy “Wong” Tan had been in the CDO Tekken scene for a while, with Sarte having introduced the game to Tan. From a mentor-student setup, the two eventually became rivals during the Road to The Nationals CDO leg for Tekken 7. Fresh from a break, LimitBreak made quick work of his assignments, until Wong dealt him a loss. From the loser’s bracket, the mentor battled his way and got his wish: a runback with Wong, who was sitting on a twice to beat advantage. Despite his time away from the game, LimitBreak’s Noctis got him his revenge against his rival Wong’s Dragunov, and this time around, the mentor walks away with the championship and the right to represent CDO in the Grand Finals. The Iloilo leg for R2N was also significant because it saw the shoutcasting tandem of Lhea “Yasumeow” Pelaez and Rain Manaig. Vincent P. Reyes, President and CEO of TV5, has this to say: “We at 5 take every opportunity we can to change the game. Yasu and Rain have made history by being the first all-female duo to cast an esports tournament on Philippine television. We are proud to be the platform that enables this type of representation, and we strive to continuously provide opportunities for our local talents to shine.” The Yasu-Rain tandem can be seen on ESPN5 on October 7 at 10:30 PM. 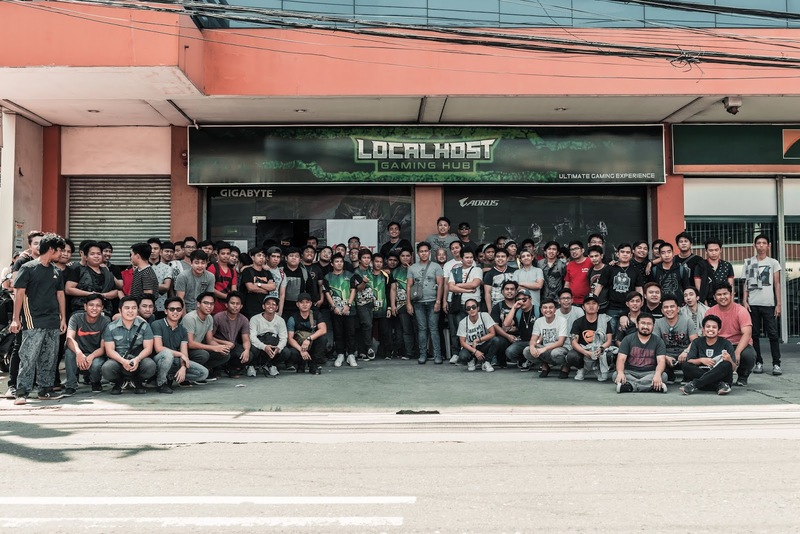 For the Esports National Association of the Philippines (ESNAP), the Road to The Nationals is a great opportunity for esports players across the archipelago to stand up and be noticed. “We really want to engage the grassroots with Road to The Nationals and we believe that this is just the first step towards giving everyone the opportunity to make their dreams a reality even if they are far from Manila,” Joebert Yu, President of ESNAP, said. For more details about The Road to The Nationals and The Nationals, hitch a Town Portal scroll over to http://thenationalsph.com (http://thenationalsph.com/).